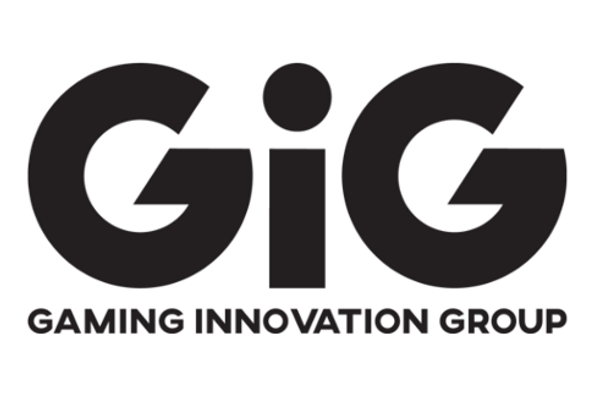 The Gaming Innovation Group is a Maltese company that has been bringing the first Games of its own to Online Casinos since October 2018. Previously, the main iGaming and sports betting platforms had been provided for the providers – now you also create the first Slots for Online Casinos. GiG Gaming has brought in October 2018 the first Slot in the Online Casinos. In November 2018 followed the second slot machine. Currently, more and more Online Casinos take the two Games of GiG Gaming on, so I would like to briefly introduce the games below. The company’s headquarters are located in St. Julian’s, Malta. Meanwhile, you are a 700 employees strong company. With the Slogan “We make great stuff” you try to convince the players and gambling providers of themselves. According to your own statements, you have the Vision to open up the entire iGaming field and make fair and fun for everyone. It is their Mission to participate in all fair online betting. In the meantime, it has become a boon to be very active on the new regulated Swedish market. I have looked at in this article, the Games of the manufacturer. Hopefully, the promise of innovative and fun Software is really kept. In the end, you can’t say much about the manufacturer’s slot machines. So far only Wild Reels – a somewhat interesting fruit Slot and Book of Souls-have been released a clone of Book of Ra with an additional feature. Below I will briefly introduce the slot machines. 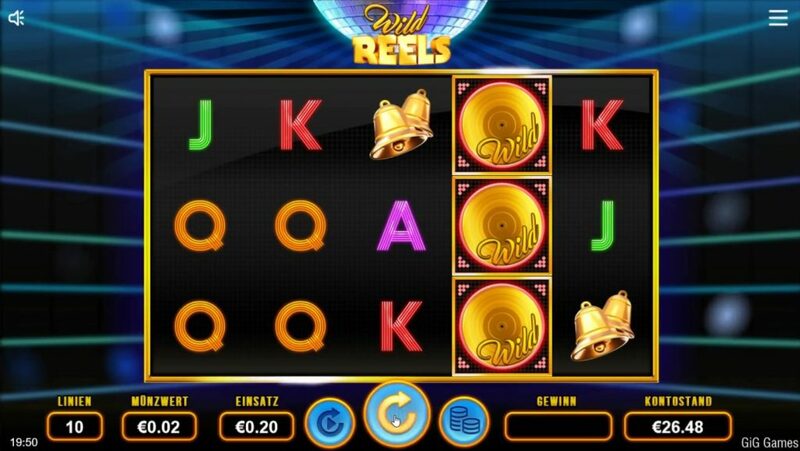 Wild Reels is a fruit Slot with 5 reels, 3 rows and 10 fixed paylines. As symbols you have chosen 4 letters for small wins. Higher wins are available for Cherries, bells, seventh, Bar symbols and a star. As Wild a gold record was chosen. A Disco ball can trigger free spins as bonus symbols. During each spin, a Wild reel is set, sometimes there may be even two reels in the base game, each with 3 Wilds. In addition, individual Wilds may appear on the other reels. If you get 3 or 4 Disco balls, 8 or 15 free games. The stakes range from 10 cents to€100. The maximum win for a full screen of Wilds and stars is € 500,000, which means 5,000 times the maximum bet. The theoretical payout ratio is 97%. From my point of view, this is a quite attractive fruit Slot. The Wild reels provide additional tension elements. It is a High Variance Slot, there can be a lot of death pins. The free games were also triggered by me very rarely. However, the potential to win is quite high – it can be compared well with the possible winnings at Play ‘ n GO Slots. However, you have to be very lucky. I’ve been losing the Slot so far. Still, I didn’t get bored playing so fast. 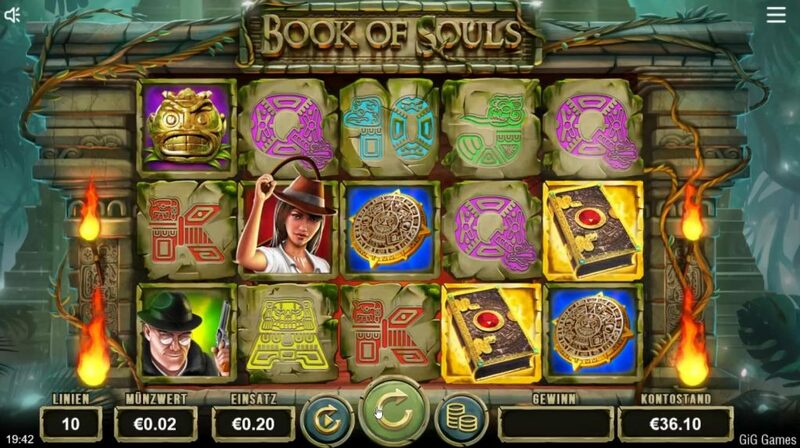 Book Of Souls is a Book of Ra clone of GiG Gaming, but a new Feature has been added. It has developed a 5 reel Slot with 3 rows and 10 fixed bet lines. In addition to the 5 classic Numbers and letters you have chosen a metal disc with the gods, a Golden head of a God, an old man in green clothes with a gun and a treasure hunter with a brown hat and whip. The two protagonists are Lara Jones and her arch-rivals, who are looking for the Book of Souls of the Maya. As a Scatter and Wild is a book with snakes and a Ruby on it. In addition, there is a snake game, which sometimes appears through a special Feature in the base game. When 3, 4 or 5 books appear, 10 free spins are started with a bonus symbol. Here the book opens and you have free pins to the pages of the Book of Souls. In the design you have at least something to come up with. In the main game, there is also a snakes-Wild Feature. At the beginning of a spin, snakes crawl across the playing field, placing the Spin Wilds on the reels. It is an interesting Feature that provides additional tension. The stakes range from 10 cents to€100. According to the manufacturer, you can win up to 500,000 euros, which corresponds to 5,000 times the maximum amount. The payout ratio is 96.90%. The reels of the slot are shown as stones that fall down. It reminds a little of Gonzo’s Quest by NetEnt. However, the Gameplay matches that of Book of Ra. With the snakes Feature as well as Lara Jones and her arch rivals, the Slot also reminds me of the first Indiana Jones Film “hunters of the Lost Treasure” – I think that these allusions are quite wanted by the manufacturer. The slot machine is not bad. The Wild Feature was triggered frequently with me, the free games came rather rare and brought me not much. Ultimately, however, the profit potential is exactly the same as with Book of Ra or Book of Dead and all other cloning. However, the Spin takes longer through the animations when the stones fall. Overall, the design is much more appealing and complex than the original Novoline. It is therefore a remarkable Slot. What Online Casinos do the GiG Gaming Slots have? On Casinosss there are so far 10 online Casinos with the two Games. All said Casinos have so far all the games of the manufacturer. They are serious – I have played there many times and never had problems with the payout. Duelz is still more suitable for players who prefer mobile devices. If you’re looking for a visually appealing Slot as a Book of Dead, try out the Clone. Otherwise, the Disco fruit slot Wild Reels is not so bad, at least for a Fruit Slot.